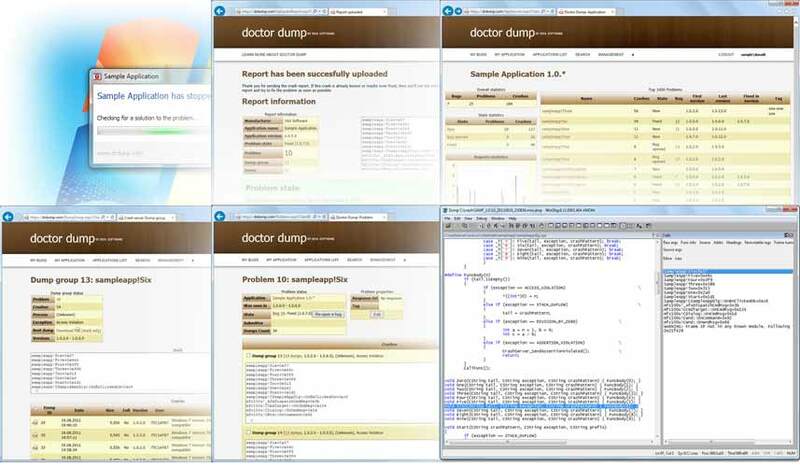 Doctor Dump is a free crash reporting and memory dump analyzing service. It collects, organizes and stores crash reports from your customers, gives you all necessary data to fix the bug and provides your users with solution/workaround to the problem immediately after the crash. 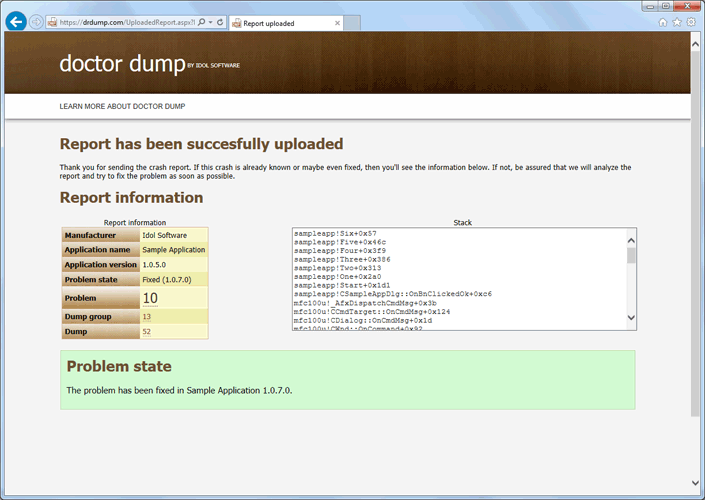 First of all you need to integrate the Doctor Dump crash reporting library into your Windows C++ application. 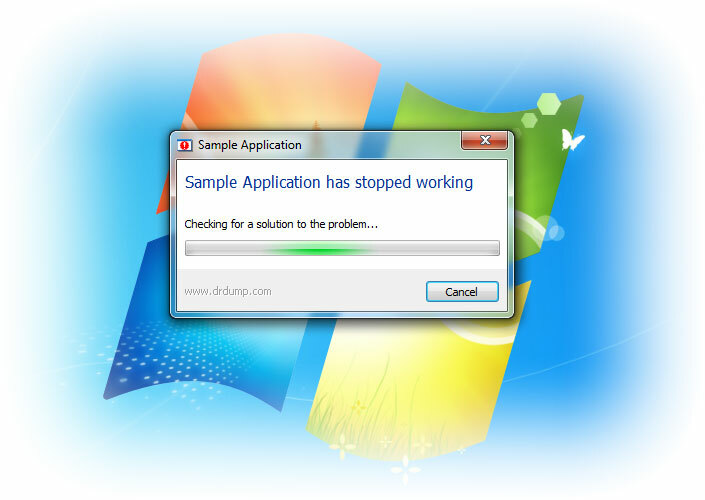 After that when a crash or unhandled exception occurs it will be caught and a report about the bug will be sent to the Doctor Dump, that will analyze the report and using problem footprint (that usually is a stack trace) put it to a group of exact same issues. Similar groups caused by one reason (one buggy function can be called by different callers, so stacks will differ) form a problem that is fixing unit. 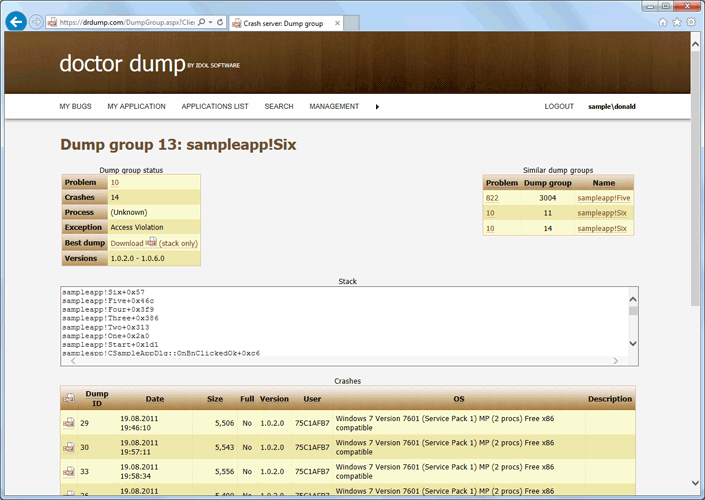 Besides stack a memory dump is available for each crash report, which can significantly help to investigate and fix a bug. 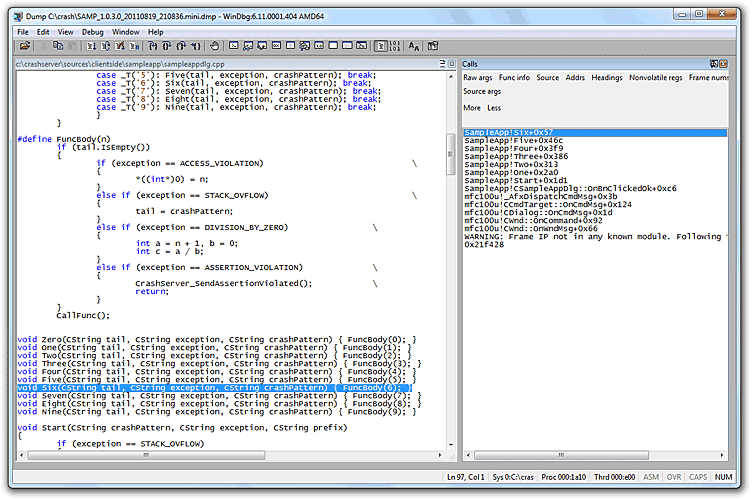 Analyzing a memory dump is similar to debugging an application that was paused in a breakpoint. Difference is that you cannot continue execution and due to optimization extracting local variables is not so easy. 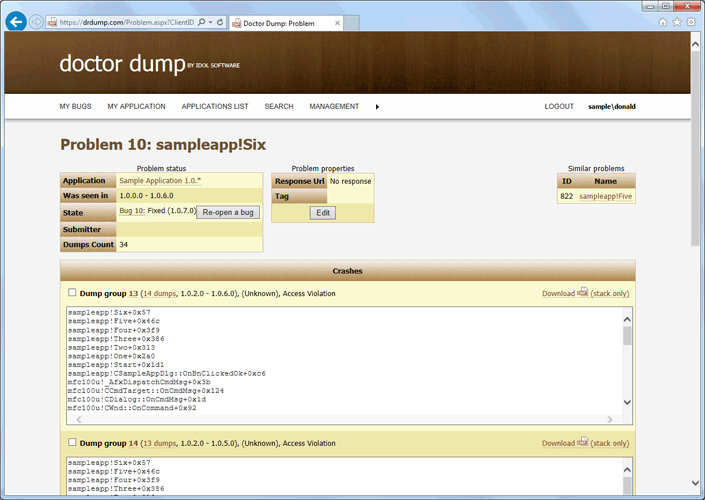 You can analyze the memory dumps in Visual Studio exactly the same way as you debug an application. But it is recommended to use WinDbg since there are a lot of tools to dissect a dump. You can reproduce all steps above yourself. 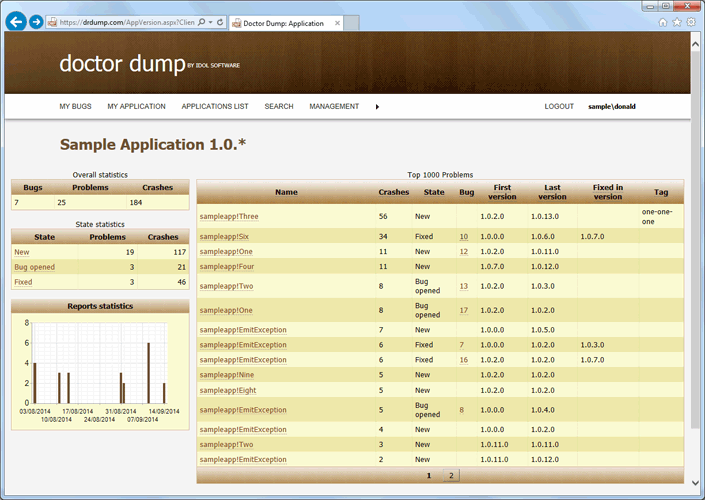 Just run Sample Application to generate crash reports and visit Doctor Dump Sample App project under Guest account and browse the problems and crash reports. 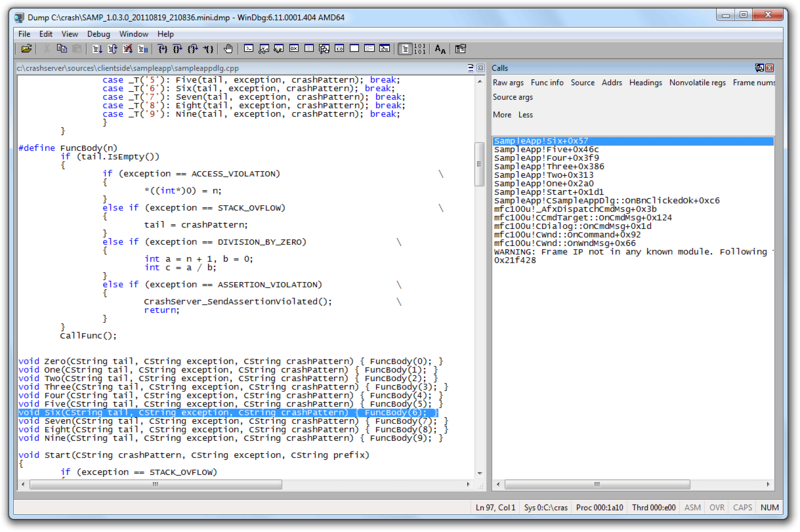 Microsoft Windows XP and above, native x86/x64 code, compiled with debug symbol information in .PDB or .DBG file format (Microsoft C++ Compiler, Intel C++ Compiler, MASM). Managed Microsoft .NET Framework code is planned.